ONVIF (stands for Open Network Video Interface Forum) is global standard of network interface. It is created to ensure interoperability network products for the security market regardless of manufacturer (for example IP cameras, video encoders, network video recording, display and video analytics devices). Implementing just one protocol, ONVIF, hundreds of manufacturers offer full compatibility with other ONVIF surveillance products, providing users with greater freedom in planning and creating video surveillance systems and helping them save on future upgrades or migration costs. What is your benefit from it? 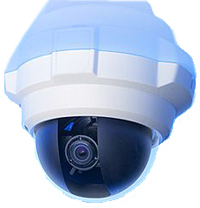 If you have been using IP cams before, you will surely feel the difference. Now when Xeoma supports ONVIF, your ONVIF camera will be auto detected and connected to the network, without any problems or waiting, without the need to find out camera’s URL in its admin interface or browser. Starting from Xeoma 14.6.4, Xeoma can detect PTZ controls for your camera with the help of ONVIF. Thanks to that, Xeoma now supports almost all ONVIF-compliant PTZ-cameras available on the market. Thanks to this standard being open for all manufacturers and producers, ONVIF video surveillance has got widespread among major brands. ONVIF devices are quite affordable, let alone usually higher quality. So you just choose the devices that fit you and then choose supporting onvif software for surveillance Xeoma. Xeoma will let you use all the benefits of your ONVIF camera. Extraordinary simplicity and comfort is not luxury anymore.